Launch live events instantly! Bring the power of Buzzitme Live! to your location. Wireless Buzztime tablets are durable and easy to grip. A responsive touchscreen immerses players in the gaming experience. 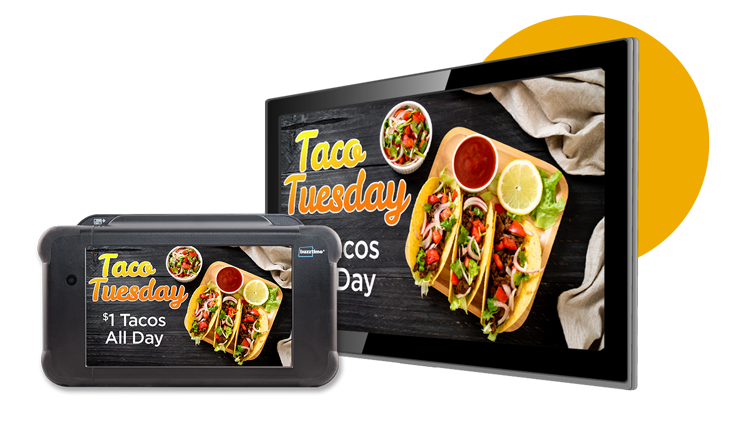 Screens can be customized with your promotional messaging. 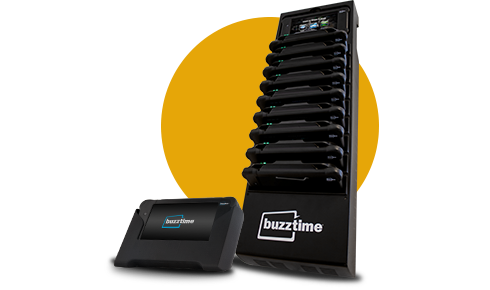 The sleek storage racks double as a charging stations for Buzztime tablets. Customers can easily grab a tablet from the rack and start playing. 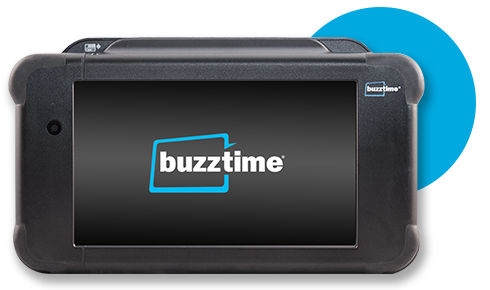 Over 10 million registered players visit Buzztime locations to play their favorite games on tabletop tablets. 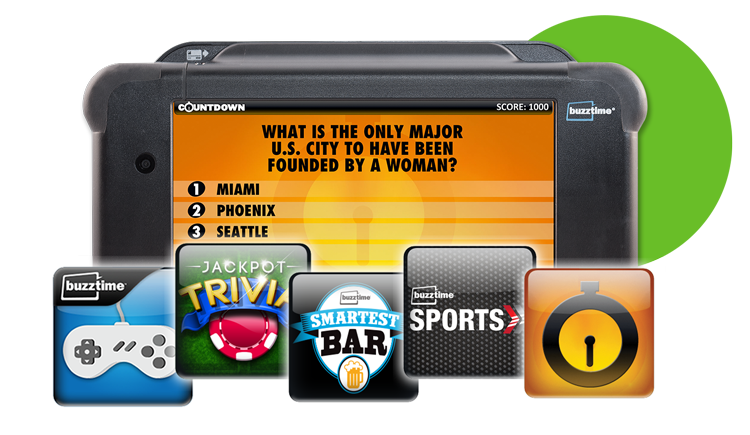 "Installing Buzztime Trivia and Texas Hold’Em was one of the best decisions we at Hazelwoods have ever made! People come from all over the area each and every day to plug in and play. " 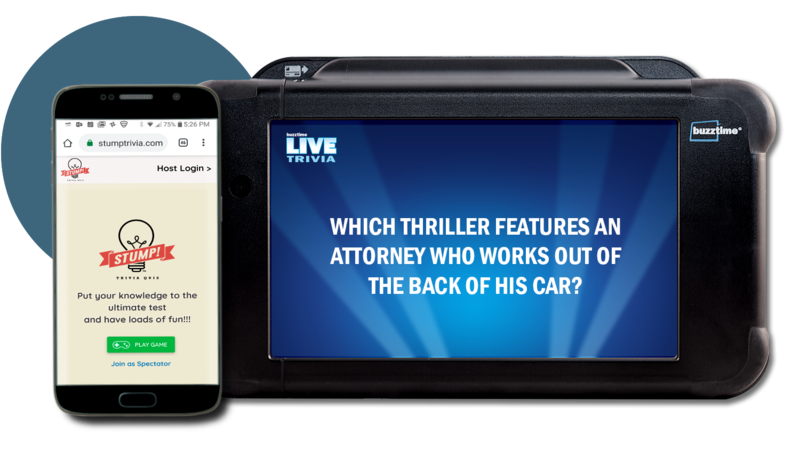 "We have utilized Buzztime to produce great looking advertisements... 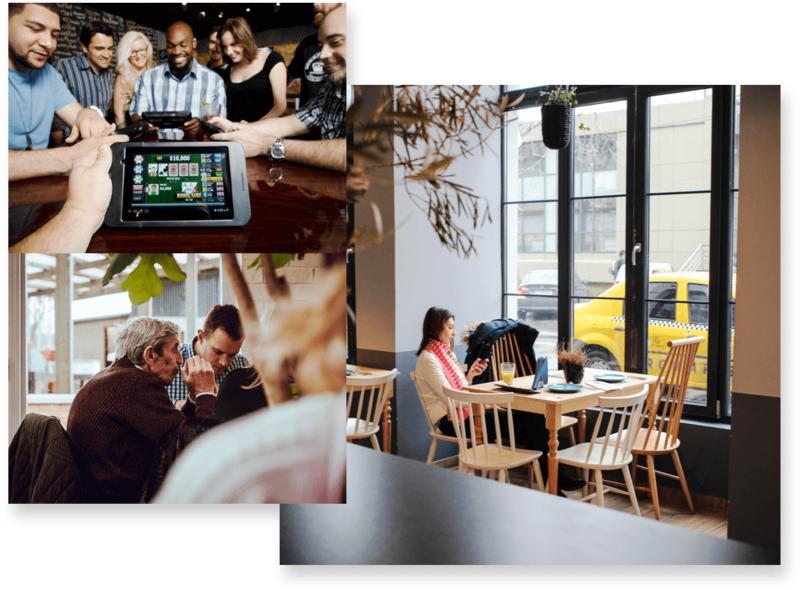 Allowing guests to advertise their businesses on our big screen TV’s, bringing in enough money to pay for the system and then some."